Matrix Machine Corp manufactures the highest quality, American-made Bridge Saws, Fabrication Centers, Tilt Tables and Equipment for the Stone Industry. Also providing parts and servicing for all your Matrix Stone Machinery needs. Matrix Machine Corp provides everything Matrix customers could ever want - with a professional and friendly attitude. Matrix Machine Corp, originally Matrix Machine Techs, was created after the unfortunate closing of Matrix Stone Products. Brian Peterson, son of the co-founder of Matrix Stone Products, worked engineering, designing and supervising all aspects of Matrix Stone Products for over twelve years. His dedication to the industry and to service Matrix customers continued in the form of Matrix Machine Techs. We have since incorporated into Matrix Machine Corp.
We have a large manufacturing facility in Glendora California and continue product development and improvement on an on-going basis. Matrix Machine Corp is dedicated to customer service an GUARANTEES the prices on parts and service. Proudly Serving You in 3 Ways! Matrix Machine Corp has a dedicated 3 stop process to ensure the highest quality servicing for all our customer's needs. We have the right staff, the right equipment and the right attitude to get the job done right..the first time. 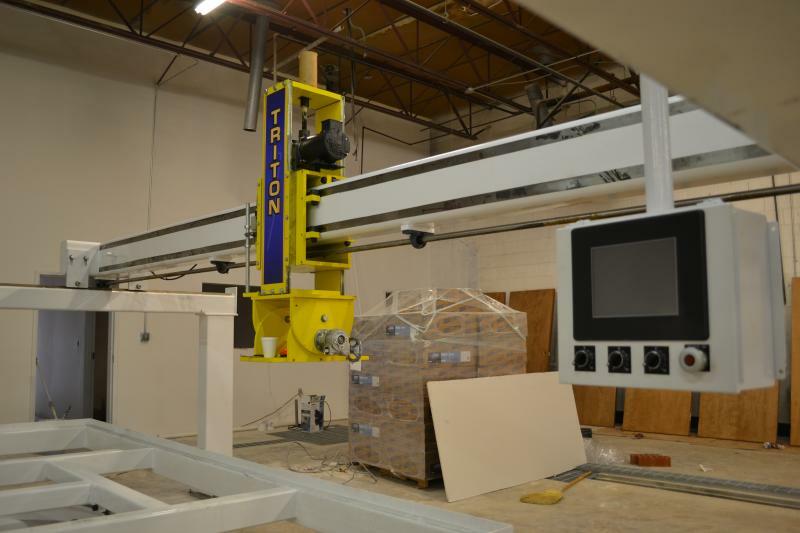 From design to finished product, Matrix Machine Corp creates the highest quality of Stone Fabrication Machinery. New or Custom, whatever your setup needs are, let us know and we will find a solution. Matrix Machine Corp's powerful e-commerce store is driven to servicing the precise needs of our loyal customers. We have easily obtainable parts IN STOCK for all our products. With the Purchase of many of our great machines, you will receive dedicated training and quality service. Our qualified technicians are experienced and waiting for you.